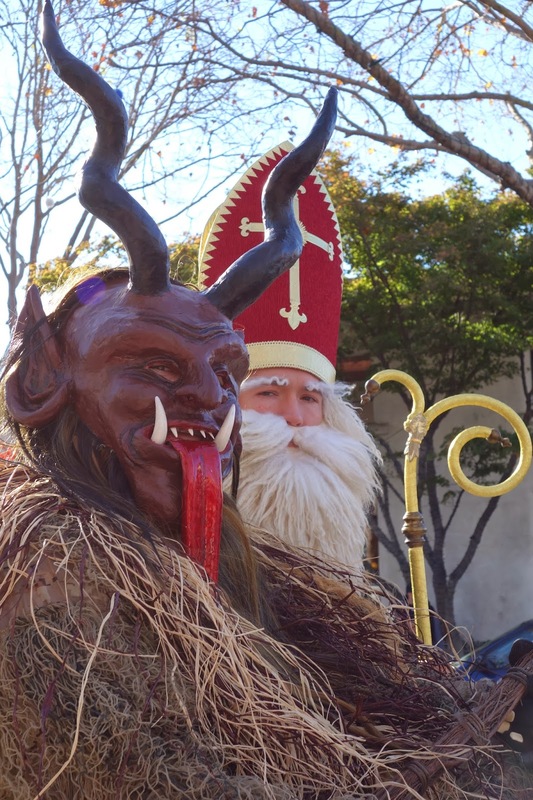 Castle in the Air: Krampus Comes for the Bad Ones! 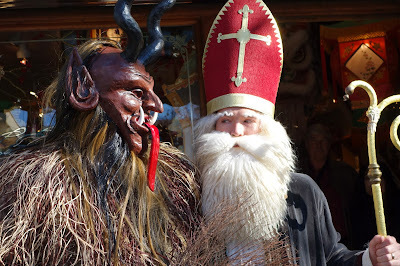 Krampus Comes for the Bad Ones! 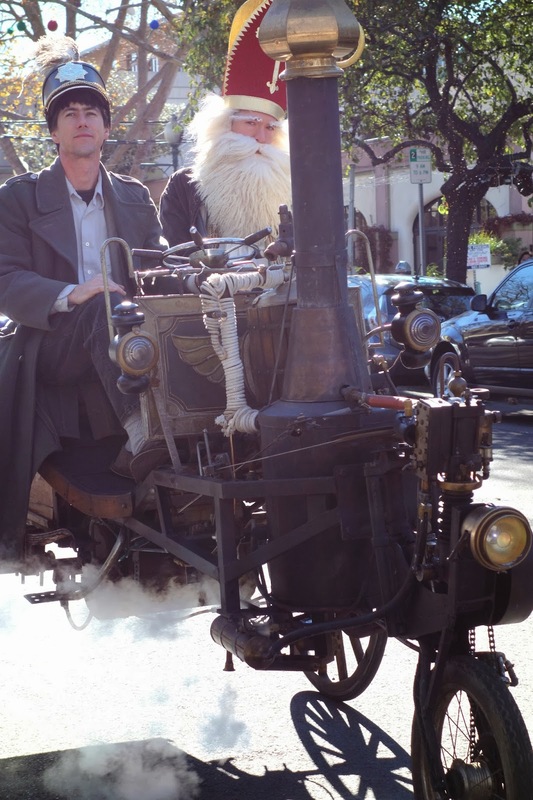 Castle in the Air gets more foot traffic in December than in any other month, but I don't think we've ever had anyone arrive by steam-car until yesterday. 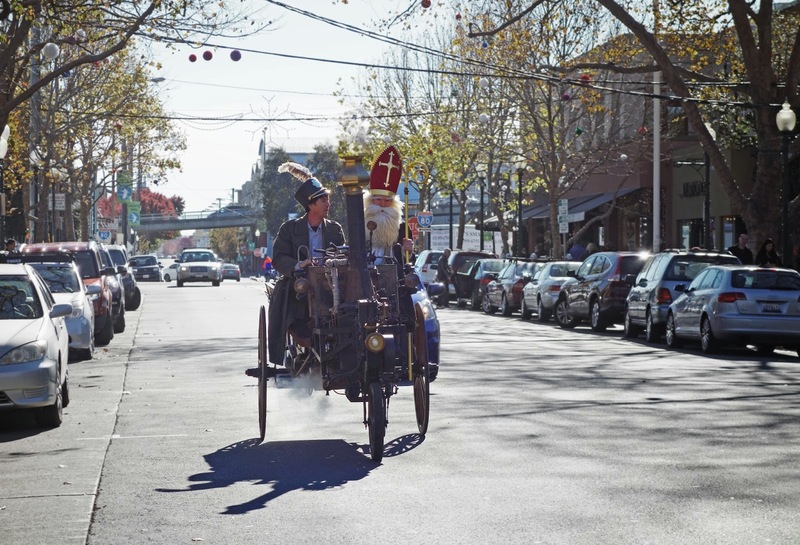 Saint Nicholas himself rolled up in a one-of-a-kind contraption billowing clouds of steam as white as his beard. 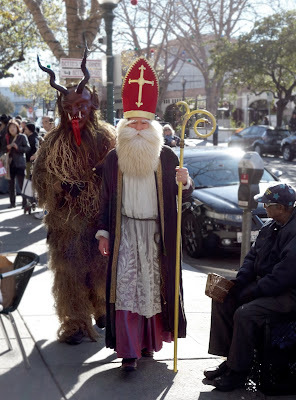 He was coming to reward any good children who happened to be at the shop. Of course, not everyone is good all the time, and that's why Saint Nicholas' terrifying old friend Krampus was on hand too, cowbells clanking from his belt and a birch switch at the ready. 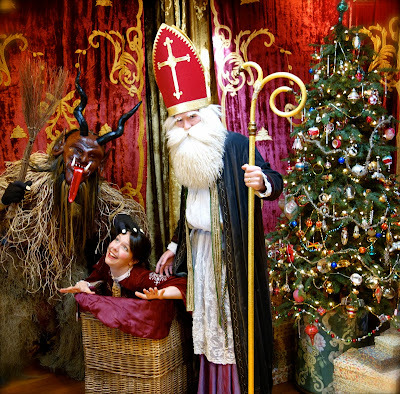 Everyone in the shop had a chance to have an audience with Saint Nicholas and Krampus in our photo booth. Being bad must be a trend, because nearly everyone ended up in Krampus' basket. 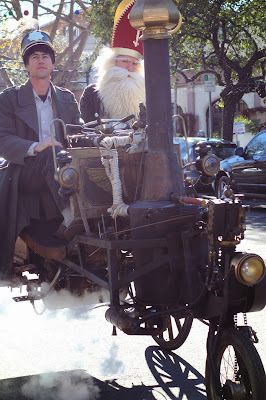 As quickly as they'd arrived, the pair was soon on their way to the next village. If you see them coming, "you'd better watch out!" How unusual and FABULOUS! CitA is so imaginative! that was fun, not your everyday Santa! Fantastic!! So happy to see Papa Noel, Krampus and YOU in your robes! !